With over 10 wedding venues, the Beach Club is a stunning backdrop for saying “I Do.” This also means that on weekends you can expect to share the hotel with a large number of wedding guests. 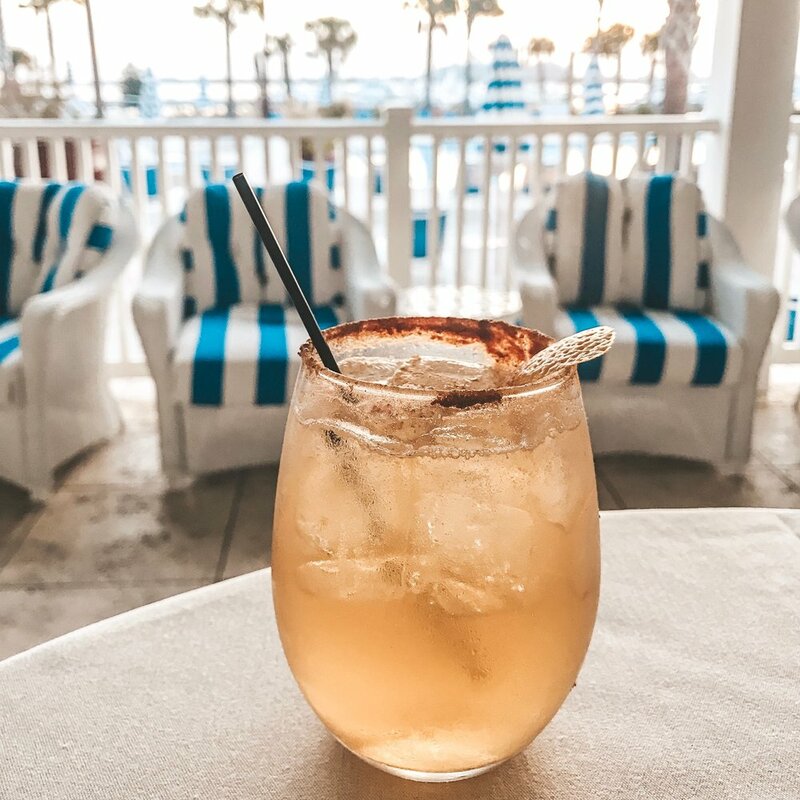 Nestled among Charleston Harbor’s marshes, overlooking the spot where Charlestonians say the Cooper and Ashley Rivers come together to form the Atlantic Ocean, sits the Beach Club at Charleston Harbor Resort & Marina. Built in 2016, the hotel offers a waterfront oasis that’s a refreshing change of pace from the historic hotels downtown. Taking full advantage of its harborside location, its architecture and design aesthetic pays homage to the way the lowcountry’s marshes and salt rivers have carved and shaped Charleston, both geographically and historically. Like the plantations of Charleston’s yesteryear, whose front doors opened onto the mossy banks of the Cooper River, the Beach Club is oriented toward the water and features grand wraparound porches and private balconies that provide sweeping views of the harbor and the city skyline. An enormous pool deck with 200 chairs, private cabanas, intimate common spaces, and a maze of yacht-sprinkled docks encourage you to sit a spell, as they say in the South, and simply soak up the salty ocean breezes and South Carolina sunshine. The friendly and outgoing staff are the epitome of gracious Southern hospitality and are enthusiastic about helping guests create a customized stay. Whether its lounging poolside with an artisan cocktail, going for a run on one of the nearby nature trails, taking one of the Schwinn bikes for a jaunt to nearby Sullivan’s Island, enjoying a massage at the onsite Estuary Spa, doing some morning yoga on the water, or indulging in She Crab Bisque at the Beach Club’s award-winning Fish House restaurant - the Beach Club has everything you need for a luxurious stay. 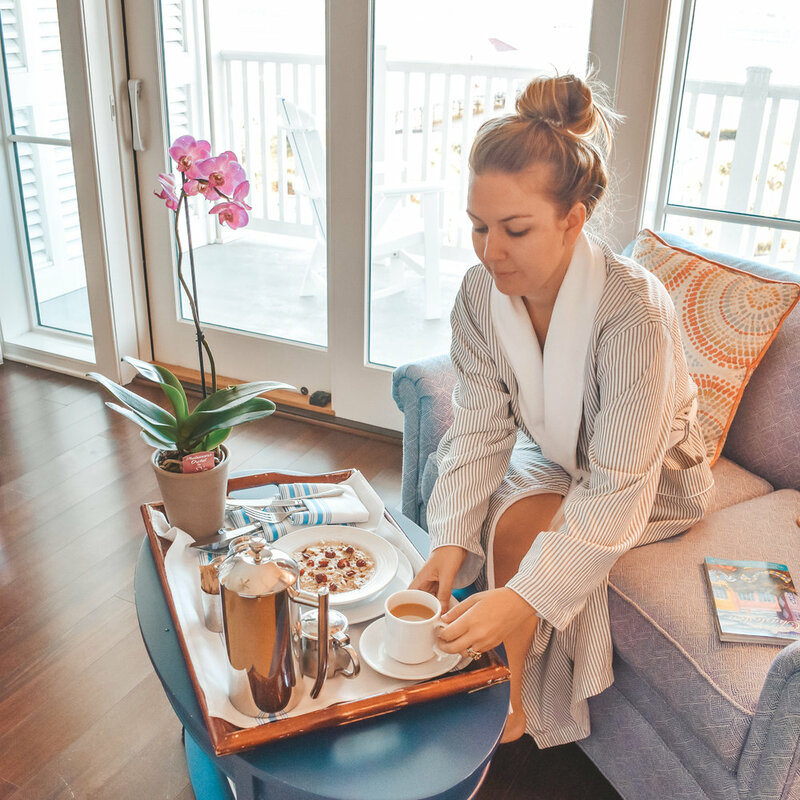 Guestrooms at the Beach Club are spacious and bright, featuring wood floors, huge windows, a couch, desk, fireplace, and the highlight: a roomy balcony with breathtaking waterfront views. Rooms are nautical chic at its best, cheerful shades of cream, blue, and coral that blend thoughtful maritime and Southern details and infuse rooms with a cheerful, slightly preppy vibe. I’m usually not one to stay in my hotel room for long, but the Beach Club’s custom-made, cloudlike beds, deep soaking tubs, soft seersucker robes, and Gilchrist & Soames® bath products made me reluctant to leave. Situated across the harbor from downtown Charleston, the Beach Club has the best views in and of the city. 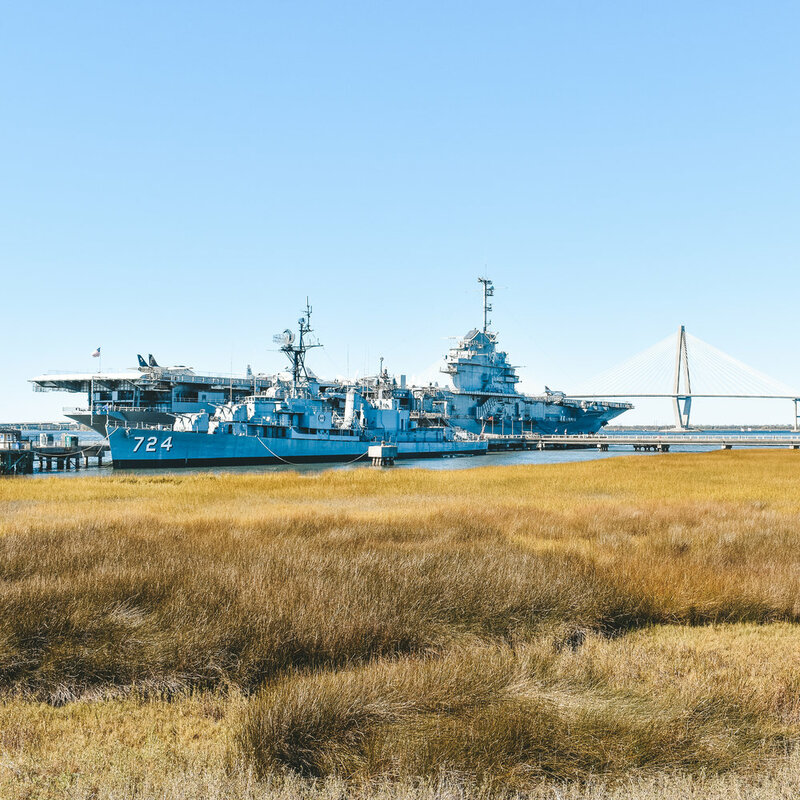 From its vantage point, guests can see Charleston’s charming skyline replete with over 400 church steeples (to this day, no building is allowed to be taller than them), the striking Ravenel Bridge, and the shadow of Fort Sumter, still guarding the port city. Getting downtown is a quick drive or trolley ride away, but I recommend taking the water taxi for a chance to see the harbor’s friendly dolphins and get up close and personal with the USS Yorktown docked next door at Patriot’s Point. Thanks to the Beach Club for inviting me and hosting my stay! As always all opinions are my own and I only recommend places and things I love and recommend to my closest family and friends.